Managers of the past often mandated change, but did not follow it. Today's successful leaders are willing to adapt and improve team performance by sharpening their own leadership team development skills. This management training program empowers you to practice the skills you need to stop pushing and start pulling. 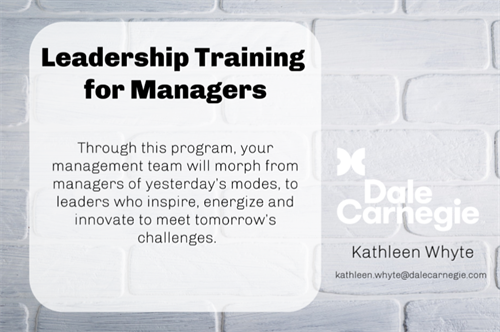 By taking this corporate leadership program you will become an engaging manager that creates confident, inspired, empowered, and enthusiastic teams!